India’s GDP per Capita 622 (US $ PPP). It is 684 US $ for Pakistan. The top 3 countries with external debt are Brazil (235 billion $), China (193 billion $) & Russia (175 billion $). India is 9th with 112 billion $. Functional employment occurs when people change from one job to another & there is an interval. This can happen even in a situation of full employment. Structural employment happens when jobs exist for qualified persons but the unemployed do not have the matching qualifications. It also occurs when labour is available, but factors of production are missing. Cyclical unemployment arises out of cycles of recession. Disguised unemployment is when people are employed but their marginal productivity is zero. The CSO is responsible for estimating the national income. It is assisted by the National Sample Survey Organization (NSSO) which conducts large scale surveys. The tenth plan has taken the figure of 26% population below poverty line for planning purposes. Out of the total 75% are in rural areas & 25% in urban areas. Orissa (47.5%) has the highest proportion followed by Bihar (42.6%), M.P & Assam. WPI is a weighted average of indices covering 477 commodities & is a measure of inflation on an economy wide scale. Services do not figure in this. Base year is 1993-94. CPI is computed separately for three groups viz industrial workers (260 commodities), Urban non-manual employees (180 commodities) & agricultural labourers (60 commodities). The GDP deflator is arrived at by dividing the GDP at current prices by GDP at constant prices in terms of base year prices (1993-94). This indicates how much growth in GDP is due to price rise & how much due to increase in output. In WTO terminology, subsidies in general are identified by “boxes” which are given the colours of traffic lights: green (permitted), amber (slow down — i.e. be reduced), red (forbidden). For agriculture, all domestic support measures considered to distort production and trade (with some exceptions) fall into the amber box. In order to qualify for the “green box”, a subsidy must not distort trade, or at most cause minimal distortion. It includes amount spent on research, disease control, infrastructure & food security. Blue box subsidies are held to be trade distorting & include direct payment to farmers to limit production & certain government assistance to encourage agriculture & rural development in developing countries. Tobin tax is the suggested tax (within 0.1% to 0.25%) on all trade of currency across borders intended to put a penalty on short-term speculation in currencies leading to crisis (Eg. Asian Crisis). In 1972, 107 companies operating in the general insurance business were nationalized into four groups – NIC, United India Insurance Company, Oriental Insurance Company & New India Insurance Company with GIC as the holding company. These companies can compete against each other in all areas except aviation & crop insurance which are the monopoly of GIC. IRDA act 1999 has ended the monopoly of LIC/GIC in the insurance sector. The only two national stock exchanges of India are NSE & OTECI (Over the counter exchange of India). BSE is a regional stock exchange. At present the value of SDR is fixed in relation to a basket of five currencies – US dollar, German mark, British pound, French frank & Japanese yen. Current Account Convertability – the holders of domestic currency have the right to convert the currency into foreign exchange for any current account purpose such as travel, tourism, trade. Transactions like those in assets are not permissible unless there capital account convertability. Ceteris Paribus – ‘Other things remaining equal’. ‘Ad Valorem’ means as per value. Laffer Curve – hypothesis that when the tax rate is raised the revenue realized tends to fall. Monopsony – single buyer as opposite of monopoly where there is a single seller. Lorenz curve shows graphical representation of income distribution. The Phillips curve illustrates the relationship between inflation and unemployment. Bretton Woods Agreement led to the establishment of World Bank & IMF. More developed a country greater would be its dependence on direct tax. MODVAT (modified value added tax) was introduced in India in 1986 (MODVAT was re-named as CENVAT w.e.f. 1-4-2000). Increase in RBI credit to the government during a year represents Monetised deficit. A high fiscal deficit leads to adverse effects on BoP, rise in interest rates & a high cost economy. PNB is the oldest existing commercial bank in India. India’s short term debt is less than 10 % of India’s total debt. The title of World Development Report 2005 is “A Better Investment Climate For Everyone”. The 12th financial commission recommendation would be applicable for the period 2005-2010. Minimum Alternate Tax is a tax on zero tax companies. Press Note 18 requires that a foreign company in a joint venture with an Indian company cannot get into other wholly owned ventures without the domestic partner’s permission. Domestic Commercial Banks contribute to the Rural Infrastructure Development fund to the extent of their shortfall in their lending to the priority sector lendings. Capital adequacy ratio affects assets of banks, its share capital & its investment. International Finance Corporation essentially provides loans to boost private sector investment of member countries. The main source of revenue for the Union government in ascending order of importance are income tax, custom duties, corporate tax & excise duties. Prevention of Money Laundering act is applicable to drug trafficking, mafia, gun running etc. Maintaining its increasing trend since 1990-91, except in 1998-99, the share of direct taxes in central tax revenues increased from 19.1 per cent in 1990-91 to 43.3 per cent in 2004-05 (RE) and further to 47.9 per cent 2005-06 (BE). Trade Related Investment measures (TRIMS) under WTO apply that no restrictions will be imposed on foreign investment in any sector; all restrictions on foreign companies will be scrapped; Imports of raw materials by foreign companies are to be allowed freely. 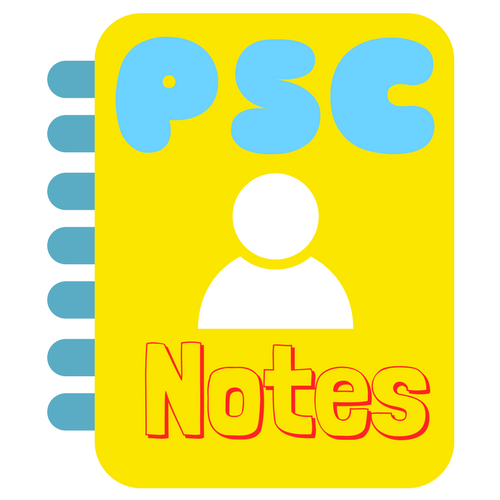 Participatory Notes (P-Notes) refers to investment in Indian securities by unregulated FIIs & Hedge funds. NCLT will replace the role of Company law board, BIFR & High courts. Fiduciary issue is the paper currency not backed by gold or silver. Capex in various sectors- telecom etc.